After being released under less than a year to serve his remaining sentence for manslaughter under house arrest ,South Africa’s Supreme court of appeal has found Oscar Pistorius guilty of murder in the death Reeva Steenkamp. ,” Justice Eric Leach who described Steenkamp’s death as “a tragedy of Shakespearean proportins” said "the accused ought to have been found guilty of murder"
South Africa’s Supreme Court ruled that the identity of the person behind the door was irrelevant as should he have foreseen that his actions would have killed whoever was in there. 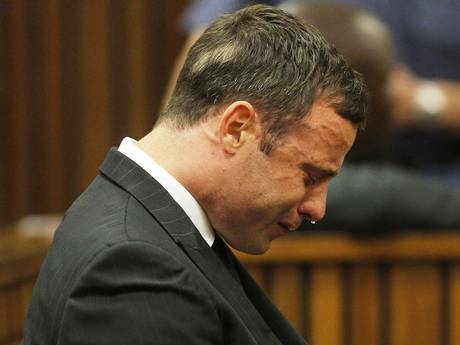 Pistorius will have to return to court to be re-sentenced, for murder.The minimum sentence for murder is 15 years in prison.